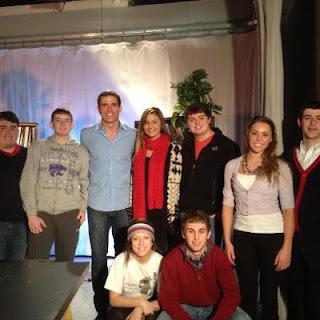 So I spent the afternoon yesterday with Trent Green. 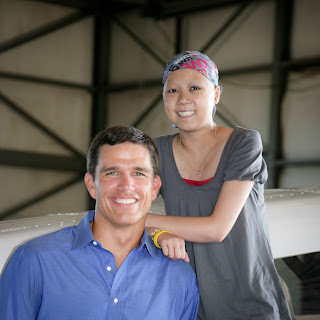 Trent was photographed with an extremely bright, courageous young lady named Hope. We all knew Hope was terminally ill while she took these beautiful photos. 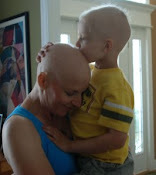 No one spoke of it, we just tried to make it a day that cAncer could never take away from her and her family. It was a detour! Hope earned her angel wings 3 weeks after this photo shoot, but you would have never known how weak she really was watching her smile and play that day! After the photo shoot at the airport, the man who owned the airplane, Paul, had another pilot take them up in the air for a personal flight!! This man is perhaps the single most genuinely kind hearted, giving, caring person I have ever met! I truly admire him and his beautiful family! I am thankful to have these people in my life! They are just incredible people who do extremely kind things just to help others while expecting nothing in return! They are my heroes in many ways!! 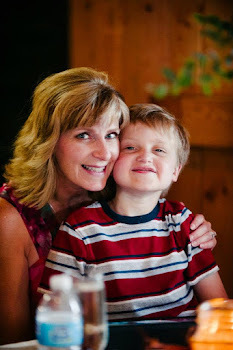 Paul and his family own Harvest Moon Natural Foods in Olathe and they do SO much for our children with cancer! I could never adequately thank them for all the work they do for our heroes! This day, especially! Since the photo shoot, we have kept in contact with Trent and I recently asked him if he would be willing to do the introduction for our showcase video for the Hope Gala on September 28, 2013 at the Overland Park, KS Sheraton. He graciously accepted and yesterday, we shot the video. It was also a typical "Seriously!" story. When Brian and I were dating, he took me to a KSU/KU basketball game in Lawrence. It's no secret that I am a HUGE KSU fan!! Four generations of my family have gone to KSU. My grandfather, dad, brothers, and nephews. I wasn't able to go because when mom died my senior year of high school, we were in a bit of a financial pickle so I went to Fort Hays State and lived at home. It all worked out fine, but I still bleed purple!! My brother, Shawn, played football for them and even before that, we went to many football games. Once, when I was probably about 4 or 5, we were driving to the game. My mom and dad were in the front seats (mom's beehive blocked a lot of the view...yup...it really was that high)! :) We pulled up alongside a car of KU fans. My mom casually raised her middle finger up to them and my dad drove off. And I casually lifted my middle finger. I didn't know!!! I thought it was just how we said we disliked KU!!! LOL!! My mom stopped me and ushered me away telling me that I should not do it again once I explained where I had learned it. It was "for moms and dads only". So anyway, I'm at the basketball game standing in the gate of hell (The Phog) in my purple (one of about ten people) with Brian who was decked out in the colors of the red headed bluebirds and we stopped at the concession stand. I had never been in the fieldhouse before and Brian took great delight in showing me all of the KU stuff and Jay and BabyJay...barf!!! Willie could eat them in one bite!! LOL!! Popcorn went everywhere and he smiled and tried to help me. I was flustered and trying to just escape and Brian was waiting for me cracking up!! I haven't told Trent about that initial meeting...I think we'll just try to forget it!! LOL!! Trent taped the intro for the video (he did an AMAZING job) and then he spent a long time talking to the BVTV students who are creating the video. They each took individual pictures with him and they were SOOO excited!! And I got not just one hug, but TWO! I'm considering taking a shower sometime in 2014.